First Chinese Player to be signed by Australian AFL Club!! Awesome news from Australia and the South China AFL! 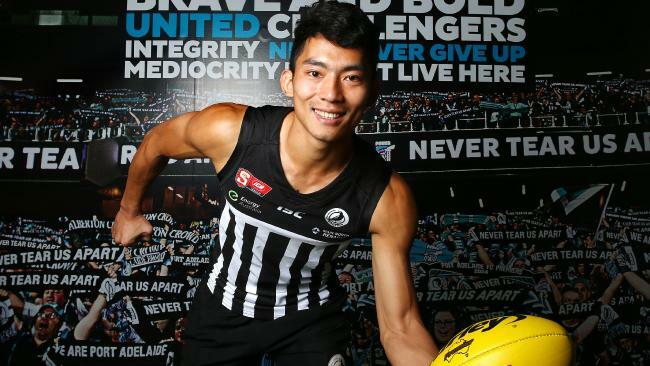 Chen Shao Ling the Captain of TEAM CHINA and Best & Fairest for SCAFL’s Guangzhou Scorpions and has been snapped up by Port Adelaide FC to play in Australia!! At 183cms/6ft tall and 23 years of age Chen has a real chance of playing at the sports highest level the AFL. The star forward will start playing with Port Adelaide in their Academy squad to quickly move to the SANFL’s Magpies (in the State league) then hopefully the AFL National league! Chen will have access to PAFC’s amazing coaching and fitness teams and is expected to thrive being immersed in the Footy environment! Chen has played in the World/International Cup representing and Captaining TEAM CHINA at IC14, and represented China Reds in the AFL Asian Championships in the past 3 years. 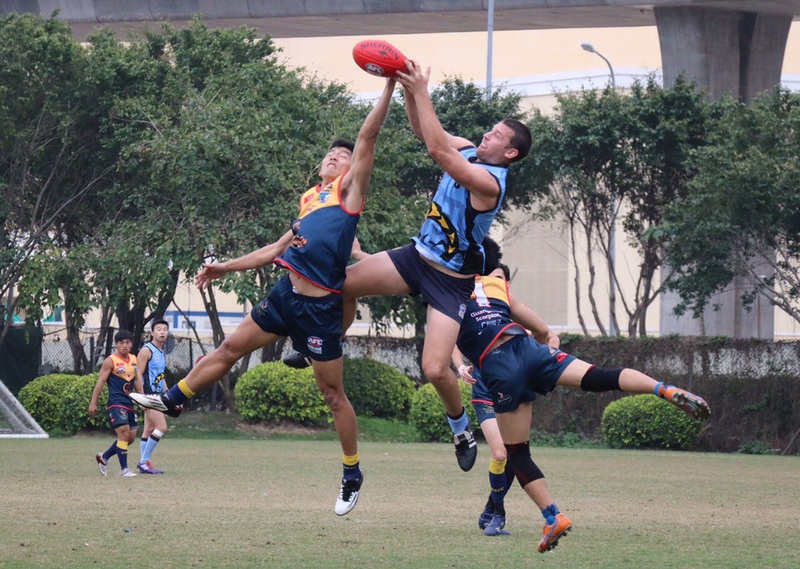 Previously a basketball player Chen has played Footy for 4 years, in the local Guangdong AFL and South China AFL and has also achieved top goal scorer for the South China AFL and Best Player of the league which also includes many of Hong Kong’s Aussie expat players. 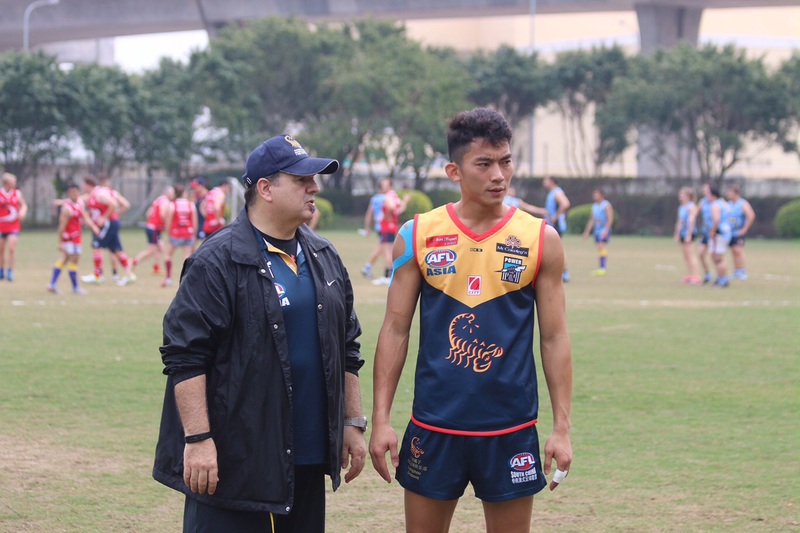 Back in China he has recently graduated form the Guangzhou Sports University where he has studied Physical Education, and was until last week coaching Junior players the new Auskick Centres in Guangzhou that he helped set up. Massive thanks got to everyone in his home team the Guangzhou Scorpions, South China AFL, Port Adelaide Football Club, The AFL, The China Reds, ZhangHao, Bill and all of his coaches and fellow teammates and Darren Flannigan who first set up the schools AFL Academy in 2012.